In order for your company to be visible in China and successfully promote and sell your tourism, hospitality or retail offering to Chinese tourists, it is crucial to have some or all of your website translated into Chinese so that you can offer Chinese and English language. However, in most cases straightly translated web sites don’t work. At Business in China, we preach the principal of building local sites to the habits and preferences of the local audience. Indeed, in some cases and depending on your specific goals and objectives, it may be appropriate to design and develop a new Chinese website or micro-site specific for the Chinese market and Chinese tourists. It is important to remember that Chinese design and layout preferences are different from what we are used to in the West. By incorporating some Chinese design, layout and navigation principles into a Chinese version of your website you will make not only your website, but your business and brand, more attractive to Chinese. Also, due to government firewalls and regulations, if you want your website to be easily accessed in China, with a fast loading speed and optimum user experience, it is best to host your Chinese site in China, and to file and keep up to date all required registrations with the government. 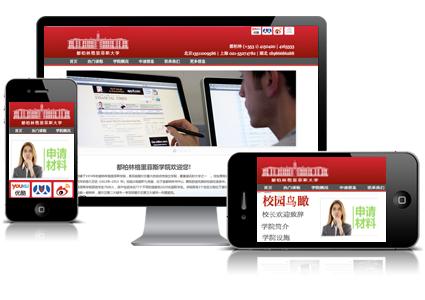 Business in China can help you with all aspects of website design and localisation for the Chinese market. Digital strategy review and web site positioning analysis. Wireframe design and visual design. Technology development and CMS integration. Web site content development, including translation and content re-writing. .CN domain name registration and ICP filing. Web site hosting, content maintenance and technical support. In many cases we recommend the development of a separate website or micro-site for the Chinese market. However, this is not always necessary or you may find you are not yet ready to develop a Chinese web site hosted in China? Or you may want to keep multilingual content in a centralized CMS? Following a brief review of your needs and objectives we can advise you on the best options. As an initial step in getting your business China ready, we can help you localize, develop and manage the Chinese content on your centrally hosted web site, and can assist you in developing a separate Chinese website or micro-site when you are ready or budget allows. Content and user experience audit that help identify content gaps, context gap and poor user experiences. Localization proposal and execution plan with content edit and user experience improvement recommendations. Content translation and Chinese content production.